What's the super Locrian bb7 mode? 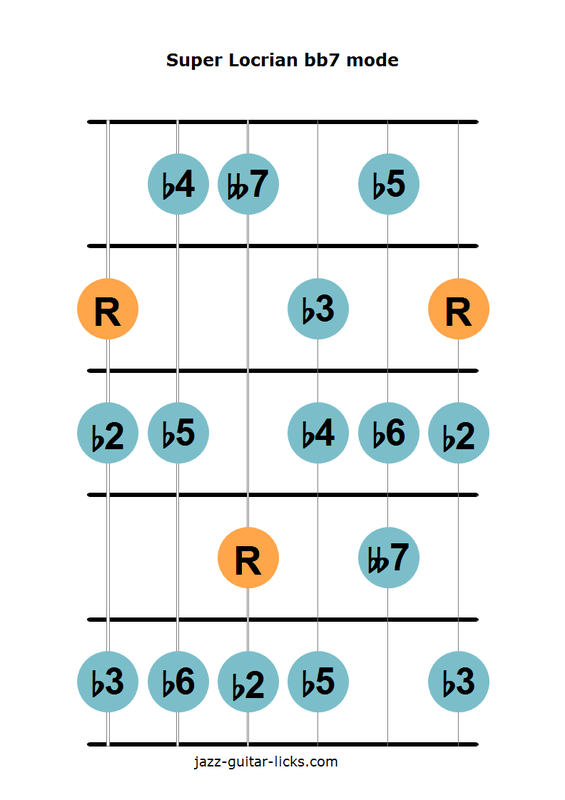 The super Locrian bb7 scale is the seventh mode of the harmonic minor scale. It is also known as Ultra Locrian or super Locrian diminished scale. It is rarely used in jazz and other styles because of its unstable and dissonant sound. It is a fully diminished scale because of the b5 and the bb7. It is built the same way as the Altered scale, also referred to as the super Locrian mode (the seventh mode of the melodic minor scale) but with a diminished fourth (b4) instead of a major third (3). The formula is 1 - b2 - b3 - b4 - b5 - b6 - bb7. You may notice that the Ultra Locrian mode contains a typical interval, the W+H step found in all the modes of the harmonic minor family. How To Harmonize the Super Locrian bb7 Scale? 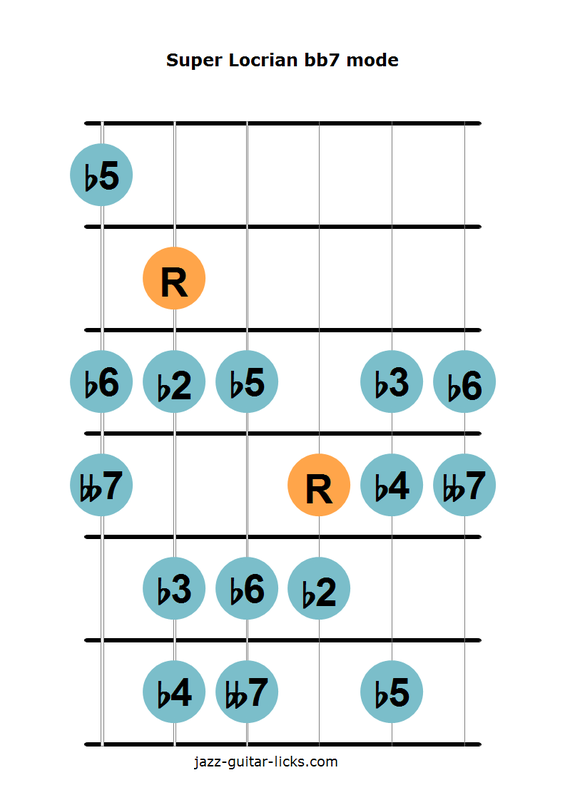 When harmonizing the super Locrian mode, we obtain a diminished 7 chord (1 - b3 - b5 - bb7), meaning that theoretically you can play this scale over any dim7 chord, but must be used with caution because the b4 creates a strong dissonance. 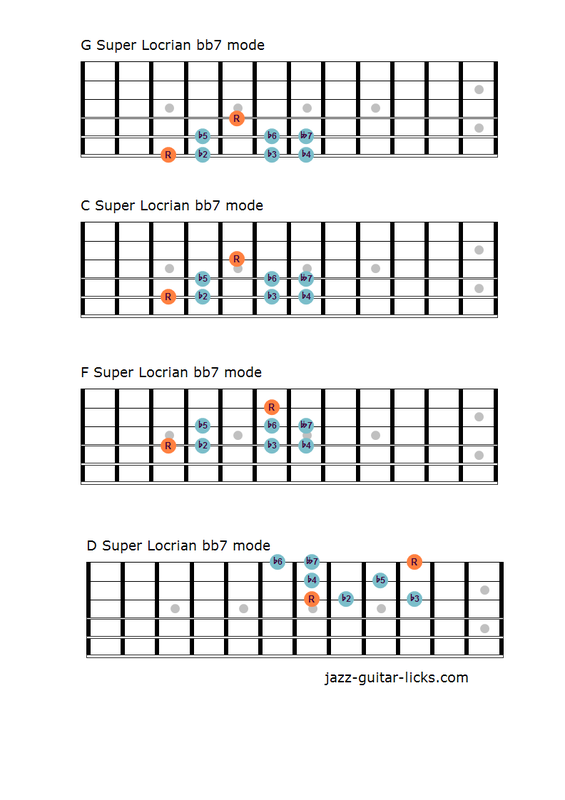 As you can see in the chart below, there is a slight difference between the super Locrian mode and the altered scale.